In 2013 Bob Bueltmann founded Bassing Bob, after retiring from a successful career in Technology Sales and Business Development. With an entrepreneurial spirit (having also founded his prior company, KnowledgeLake) and a passion for bass fishing – he focused his energy on creating a business that would benefit bass fishermen that fish Lake of the Ozarks. “I chose to retire at Lake of the Ozarks because I love the community and hope to go bass fishing every day possible,” said Bob. “The old saying kept coming to mind: “do what you love and you’ll never work a day in your life. I hoped that others could benefit from my daily fishing experiences and those of some of the lake’s expert bass fishermen.” After some research he realized there was no single informational source dedicated solely to bass fishing at Lake of the Ozarks, and thus Bassingbob.com was born. 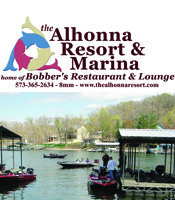 Bassingbob.com provides local and weekend anglers, vacationers and tournament fishermen access to interactive Lake of the Ozarks maps, daily fishing reports with photos and videos, expert tips and how-to-articles, photos and photo-sharing capabilities, a community forum, and many other bass fishing resources. Since launching Bassingbob.com in July 2013, Bob and his team have assisted thousands of fishermen with techniques to catch more and bigger fish! Bassingbob.com also focuses on drawing more visitors and attention to the Lake through social marketing, and continuously community engagement. The MO Water Patrol Regatta reported the number of boats at the lake increased from 19k in 2013 to 23k in 2014! BassingBob.com even plans and executes their very own bass fishing tournament annually, drawing hundreds of anglers (and their families) to the lake over the winter months. Bassingbob.com draws nearly 15,000 website visitors each month by publishing over 200 articles, over 300 fishing reports, 100+ videos and over 3000 photos. Bob Bueltmann has been referred to as the Ambassador of Fishing within the local LOZ community! Bob frequently sponsors Lake of the Ozarks events and tournaments, arriving before dawn to provide anglers with coffee, donuts and words of encouragement. 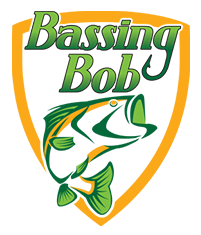 Bassingbob.com also sponsors the Mizzou Bass Fishing Club, The annual Big Bass Bash, local high school tournaments in which he emcees the banquet and weigh-ins and proudly donated $1500 in scholarships in 2014. You’ll also see Bassingbob.com sponsor and participate in the annual Air Show, Eagle Days, Water Boat show, all Lake Chambers, CVB and is an advocate of promoting businesses throughout the Midwest.